Radiating exclusive elegance, this French island is where the truly powerful – tech billionaires, music moguls, big businessmen and oligarchs – enjoy off-duty fun. Welcome to a super yacht charter on St Barths. David Rockefeller bought a property here in the late 1950s, attracted by its remoteness, which is also a major attraction to today’s clientele. The French began investing serious cash in infrastructure and tourism from the late 1960s and a few decades later it became a billionaires’ playground. 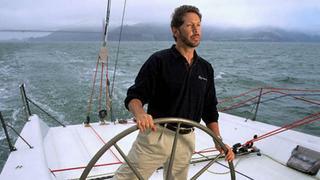 Larry Ellison and Rupert Murdoch are among the most famous. Yachts moor in Gustavia harbour, but as it only accommodates boats of up to 60 metres, Ellison’s Rising Sun and Roman Abramovich’s Eclipse loom out at sea, reminding everyone of their owners’ clout. On New Year’s Eve, the fortunate are asked to dinner on American billionaire Ron Perelman’s superyacht C2 before heading to Abramovich’s bash at his estate on Gouverneur Beach. Hiphop mogul Russell Simmons always throws a rocking party between Christmas and New Year and fies in DJ Ruckus from New York. Arty types will be keen for an invite from New York art dealer Larry Gagosian. Hotels are so soughtafter in high season that they’re booked a year in advance. It’s all about Eden Rock, Hotel le Toiny, Cheval Blanc Saint-Barth Isle de France, Taiwana and Le Sereno. The eclectic and delicious Creole food and beachside location make Maya’s uber popular – booking is essential. Or follow the fashionable to L’Esprit Saline on Saline Beach. You’ll find a party vibe at the velvet-clad Le Ti St Barth, which has a louche, risqué feel.